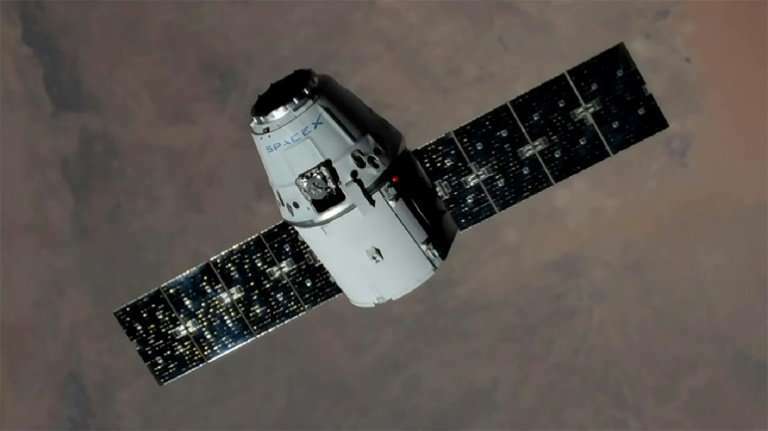 SpaceX's unmanned Dragon cargo ship splashed down in the Pacific Ocean on Saturday, the company said, a few hours after leaving the International Space Station Saturday carrying 4,000 pounds (1,800 kilograms) of gear. "Good splashdown of Dragon confirmed, completing SpaceX's third resupply mission to and from the @Space_Station with a flight-proven spacecraft," tweeted the company owned by Elon Musk around 1900 GMT. "Release confirmed," commentator Rob Navias said on NASA TV, noting that separation occurred as the ISS was 256 miles (411 kilometers) above the Earth, passing over just south of Australia. I do love the fact that we finally have a real private space industry going. No all we need to do is figure out how to avoid Kessler Syndrome and space, will really start to become available as a source of resources, not just information.